our trip to jackson was a complete success. and yes i was singing johnny cash the whole time. 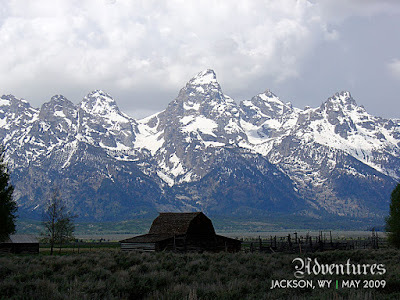 the tetons were gorgeous. i kept telling dan to pull over; at every turn it was an amazing picture perfect view. he smiled and said, you're seeing the vision, mart. i love that mountain man. we started peace like a river on the way home. i already love it, two chapters in. i felt like my mom, reading aloud on the long car ride. when i was a kid, she always read chapter books to us once we were packed tight in our big suburban. i always dozed off after she'd read chapter one, but i loved it all the same. there is something about falling asleep to the sound of your mother's voice. on the other hand, my li'l boy loves to babble his benji speak whenever he hears me talk. we cruise along and he jabbers his heart out. and pulls at his socks. which we think, is basically the cutest thing ever. 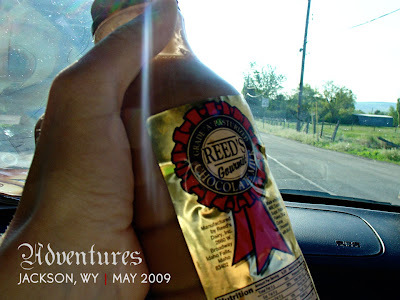 one of my favorite things...Reed's chocolate milk! seriously heaven in chocolate milk form. I read Peace Like a River for a philosophy class in college. The teacher used it as a challenge to the view that spirituality has no place in philosophy. It was a great book, I hope you enjoy it! I also love the idea of reading aloud on car trips. I tend to fall asleep on long car trips, but I always bring a our current book on our trips around town. I love that drive...we like to go through swan valley, victor and up then down into wilson and on into jackson. I envy those who can read in the car without getting queasy. And benji babble probably really truly is the cutest thing ever. Peace Like a River is one of my favorite books ever. It's perfect. Oh, I'm so glad your little weekend trip was a success! 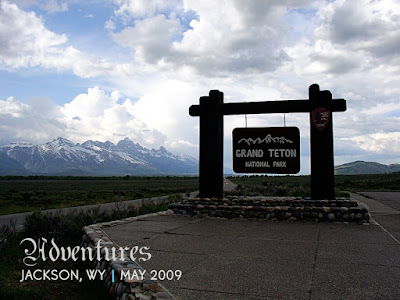 There isn't a better drive in the world than Teton Pass (well in the summer anyway!) Thanks for the pictures - brings back good memories. I am originally from Wyoming - went to school in Rexburg and that was my drive home - rain or shine. I LOVE, LOVE, LOVE that area. And I love your blog. You express yourself so well! Happy June! Peace like a River is a beautiful book. one of my all-time favorites. enjoy it! 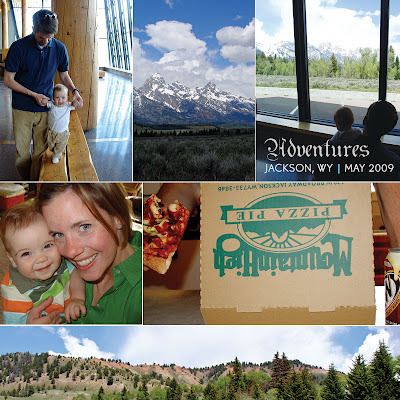 I am so glad you had such a wonderful and relaxing trip, I am adding Jackson to our list of trips to take. You have such beautiful little family and Benji's smile is so contagious, a little burst of sunshine on Monday morning. Have a great week. marta: looks like an amazing weekend! so glad the trip worked out beautifully! peace like a river is on my list of books to read. can't wait to dig in! Sounds So fun! I absolutely LOVE that picture of you! You look SO so cute! I would love to take a little trip to Jackson. Any favorite places to stay, eat or visit? Look at those mountains...beautiful. Was the pizza yummy? Beautiful weekend! I love seeing your trip photos. 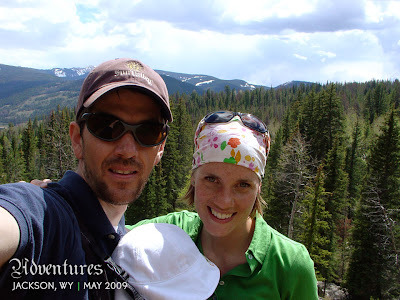 I am heading to Montana next week and I can't wait for some mountain air. It's getting thick and humid here in Florida! My husband missd Reed's Chocolate Milk so much while on his mission that he asked a friend who was passing through Boston to bring some by. Hahaha.. needless to say, its a staple at our house. yea for adventures. we used to get books on tape before we had the dvd player. i'll have to reinitiate that on the next trip. maybe the chronicles of narnia or harry potter. unbelievable snapshots. love getaways...they are sooo calming. awesome photos marta. i love how refreshing your blog is. Seriously, do you have the cutest baby on the planet? I think you do! Lucky duck! yay for mountains and chocolatey milk and a sweet bandana and the most darling benji + mom photo ever! My husband was born and raised in the Hole and that is where we met and married. So cool to see our little hometown giving you so much joy -- and Hip Hip for Mountain High!